Deluxe wood hair brush measures 9" in length. 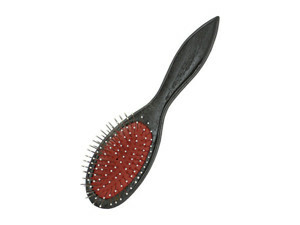 Bristles are made of steel and handle is made of wood with a mahogany finish. Great for brushing long hair.